Fxprimus…10 Years Today: What An Achievement! Safety & Trust: Is There Really Such Thing in The Forex World? It’s Time To Stop Wasting Time And Start Building REAL Wealth With Forex! "I'm glad FXPRIMUS give me the surety that my account is safe with them." "These guys really doing good job.. So rar no any problem arrise with their service." "Withdraw money supper fast :D, good broker. " © 2018 fxprimusmalaysia.com.my. All Rights Reserved. Any reproduction, copying,or redistribution (electronic or otherwise, including the world wide web),of content from this webpage, in whole or in part, is strictly prohibited without the express written permission of the site owner. Please note we are a fully independent IB of FXPRIMUS, and are not employed or contracted by the company. The views and opinions expressed herein are those of the author of this website/blog and do not necessarily reflect the views or opinions of FXPRIMUS. Furthermore, FXPRIMUS urges anyone opening an account to adhere to the laws of their local country as such laws may differ from country to country. Check with local authorities to determine your country’s regulations. 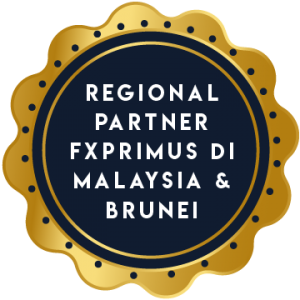 Fxprimusmalaysia.com.my provides information about FXPRIMUS, a GLOBAL online trading institution that provides high safety of funds, trustworthy and is the perfect forex broker for traders concerned about issues such as forex brokers trading against clients, not paying withdrawals, and having constant re quotes. FXPRIMUS is regulated and adheres to the laws of the country. They practice INTEGRITY, SECURITY, and RELIABILITY. Do you have a question that you would like to ask? We can help you. Ask us any Forex-related or FXPRIMUS related questions, and we will reply within 48 hours. Send your questions via our Contact Us form. Copyright © 2019 fxprimusmalaysia.com.my. All Rights Reserved.